Your official ‘address’ on the web. A domain name is a vital component of any website, but what’s equally important is choosing and securing the best domain name for you. You need to make sure your domain name resembles your business name or what you do, and that it’s easily guessable by potential customers who might be looking for you on the web. The best known types of domain names are those ending in .com or .co.uk, but there are increasing numbers of domain names available today, for example ending in .net, .biz, .co and many more. At Greaves Design, we’ll help you choose the best domain name for your website. A website domain name in .com or .co.uk is likely to inspire confidence in potential customers, as they’re more trusted by users. A .com domain name tends to be associated more with US companies, but this can give the impression that your company has a global presence. Meanwhile, a .co.uk domain name clearly shows users that you’re a British company. However, because .com and .co.uk options have been in existence for a long time, many popular or obvious combinations have mostly been bought already. You may also be able to give yourself more options by choosing hyphens in your domain name: for example, buildersinlondon.com might be taken, but builders-in-london.com could be available. At Greaves Design we can advise on the best domain name for you – whether you want the domain name to match your company name, or you want it to reflect the services you offer, we’ll help you understand the pros and cons of each, then secure your domain name for you. If your preferred .com or .co.uk domain name isn’t available, and you don’t want to compromise on the other words in your domain name, then you still have options. 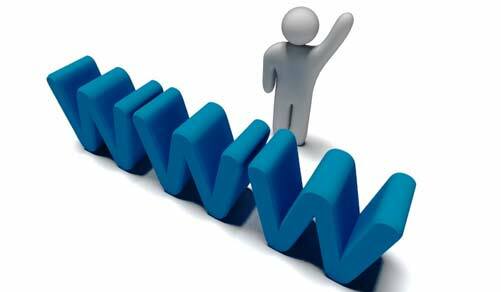 You can choose from domain names ending in something like .net, .biz, .co and many more. These may be easier to procure, but can sometimes be a little more expensive. We’ll advise you on all these factors before you make a decision. Almost every country in the world has its own extension today, but they all have different rules as to what you are and are not allowed to do. For example, for German “.de” domain names, you need someone registered in the country itself to buy it. There are ways around this – for example we can use certain domain companies who have systems in place to get the domain names. But some countries are much stricter and you need to have a legitimate business in the country to which you are registering the domain name. Please ask us and we can advise as to what is possible and what is not. Having the local extension i.e. www.greavesdesign.de can be an advantage if you are specifically promoting your website to the local region of Germany as there is an argument that Google prefers “.de” domain names to “.com” when people in Germany are searching. This however cannot really be proven. And of course having the website translated into the local language for the local domain names can also help with reaching different people. Greaves Design can also help do this for you by creating multiple websites or sections of the websites in different languages. Transparent: we believe it is unfair to register the domain name to us and then ‘hold you to ransom’, simply because you bought your website from us. Some other companies think differently to us, so always beware of the small print! Otherwise you could be in the unfortunate position of having to buy the domain name from the company all over again. You won’t get this with Greaves Design. Fair: we’ll always release your domain name to you if you ask for it. On your side: if your domain name still sits with your last web design company and they won’t release it to you, we may be able to help. For .co.uk domain names that are registered to you, we have an easy and cost-effective way of moving the domain name to you. You don’t have to involve your former web design company at all.